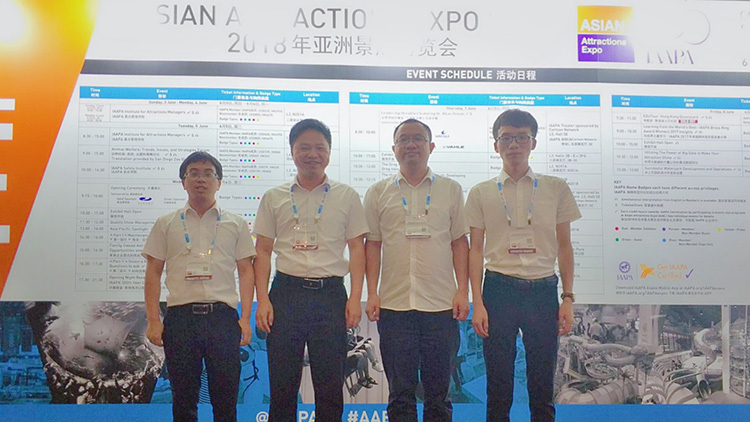 H-Fun Team Attended IAAPA Asian Attractions Expo 2018 in Hongkong. 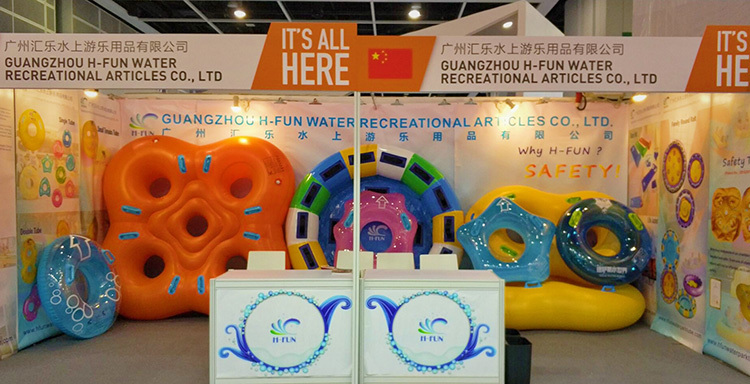 H-Fun exhibition products contain water park inflatable products like solid combine transparent single tube, 4 air chamber 4 person inflatable tube, 4 person family round raft, polygon solid combine transparent single tube, pentagon solid combine transparent single tube, transparent single tube, solid double tube, solid double tube with bottom, Neoprene combine EPE life jackets, EVA slide mats etc. 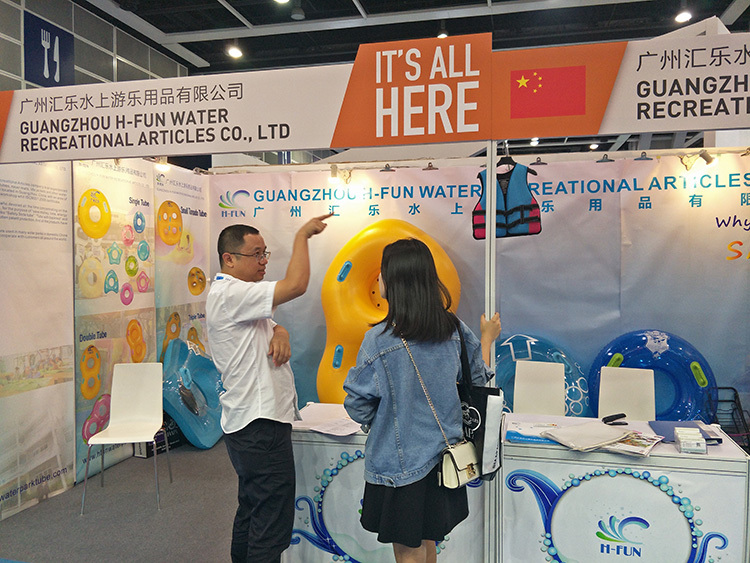 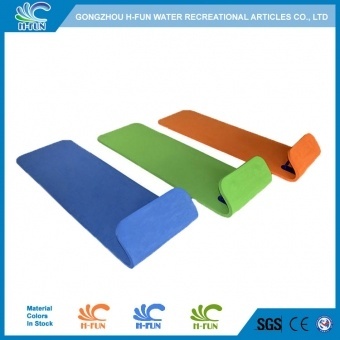 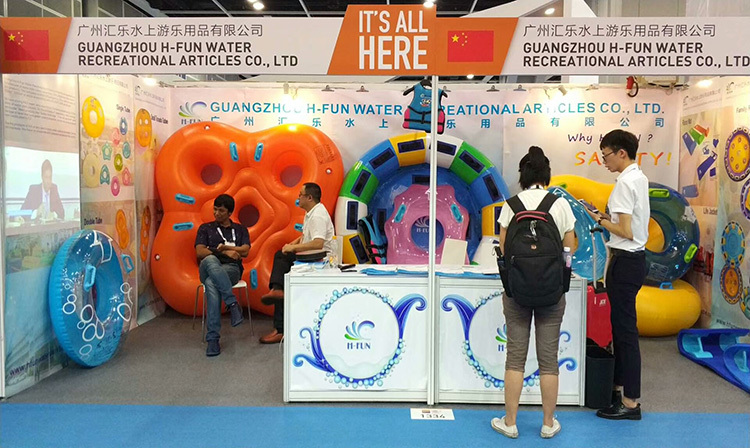 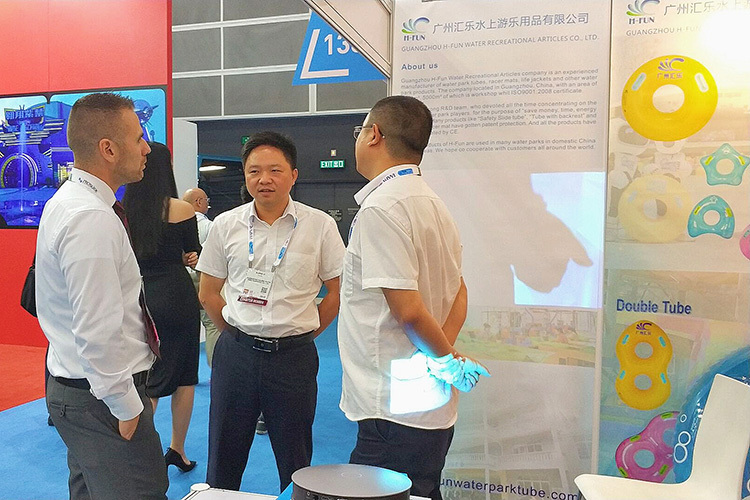 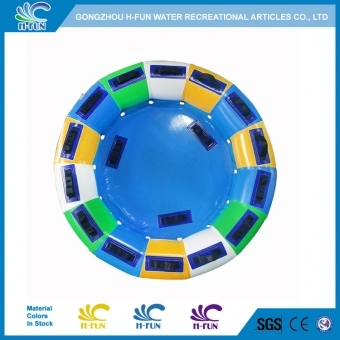 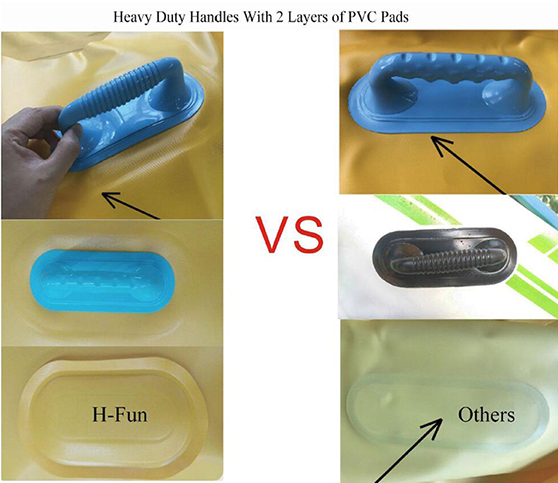 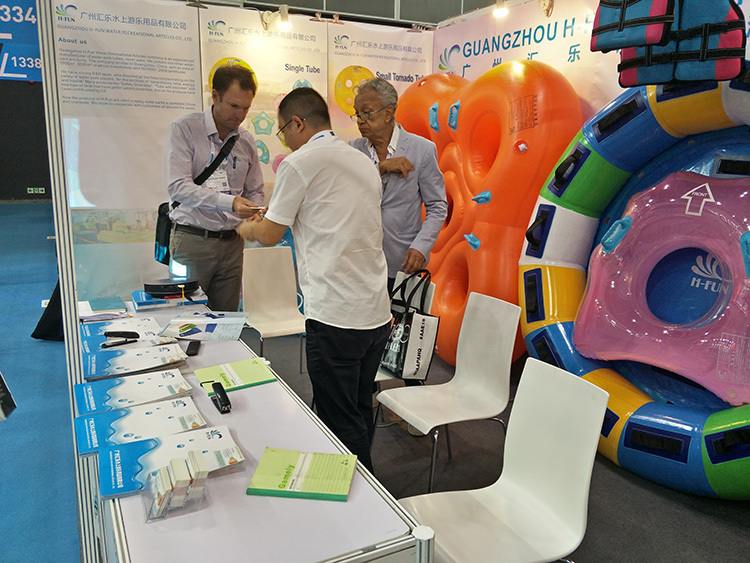 H-Fun team communicate with customers about water park related industry issues and water park matched products like inflatable tubes, family round rafts, EVA slide mats, life jackets etc. 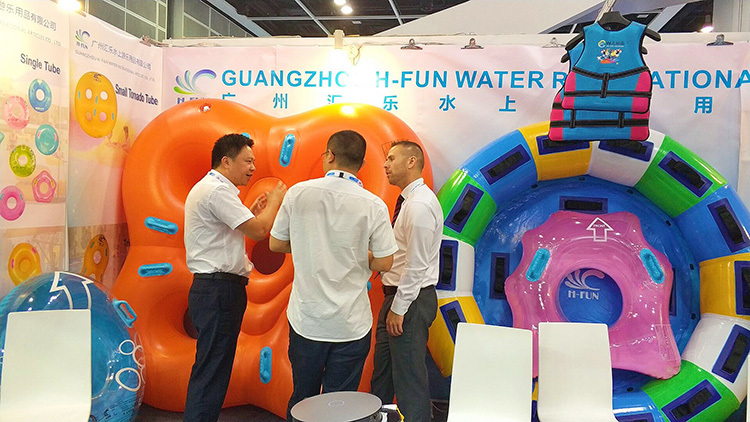 Clients are very satisfied with H-Fun water park products like 4 person 4 air chamber tube, pentagon single tube, double tube with bottom, new design EVA slide etc. 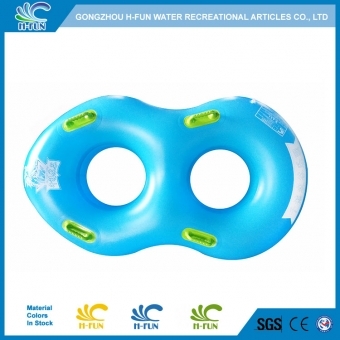 For the 4 air chamber 4 person tube, it gets four independent air chambers make the safety tube steadier and safer: Even one of chambers gets damaged, others will not be affected, and the safety tube still can carry players back safely. 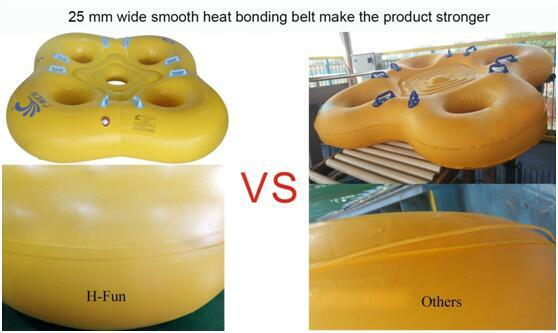 Customers say it is a very creative product and more safer than these general 4 person tube on the water park markets. 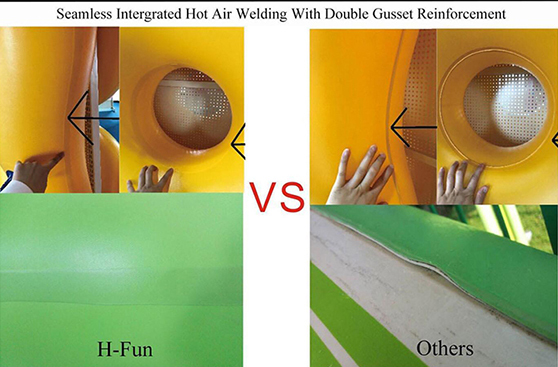 H-Fun ware park inflatable tubes are sealed by Heat Bonding technology.（Also called Hot Overlap Technology）The assembly is made with a flow of very hot air and pressure at the 2 PVC sheets overlapping area. 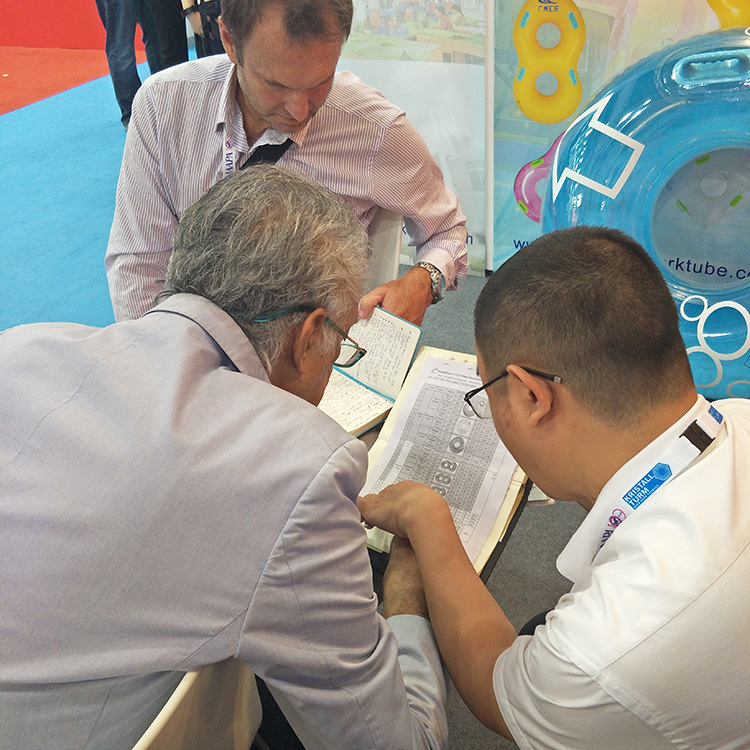 It is a hand-made technique combining craftsmanship and welding experience with high tech machines. 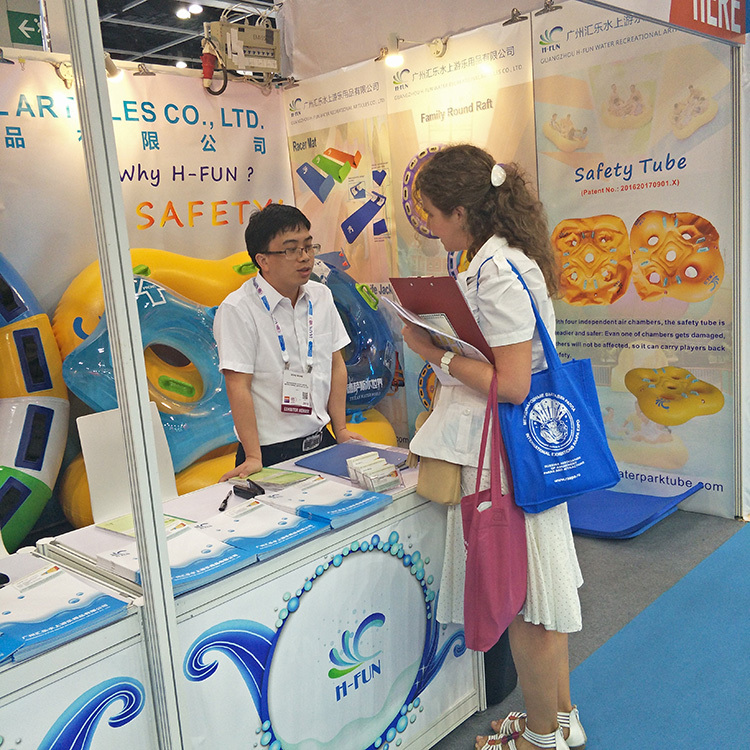 This kind of technology make the products stronger and safer: our tube can be used for two years while the most general tubes on the market can only serve 1 year even less than 3 months.